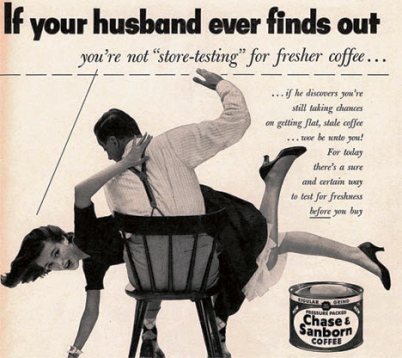 Politically Incorrect Product Ads From Not-So-Long Ago. 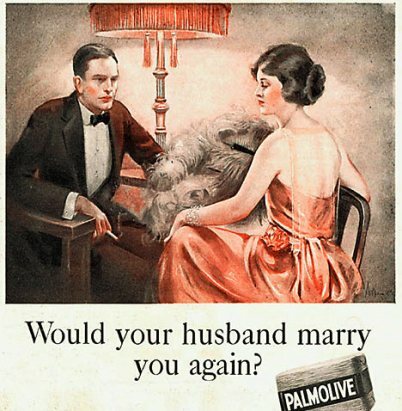 1921: If you can answer YES to the question, you are obviously using pure mild Palmolive soap that will leave your skin radiant. 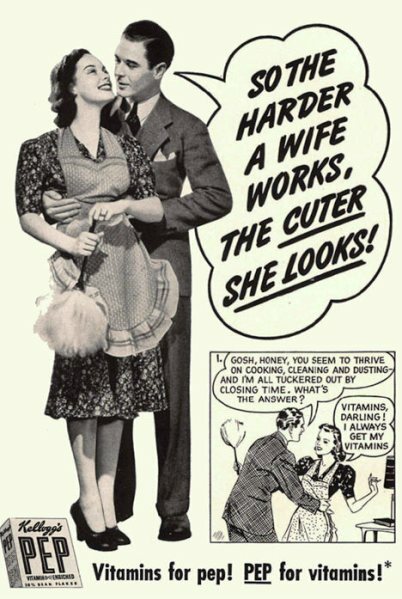 1930s: You do all the household chores – and still look fresher every day, darling. What’s your secret? A bowl of Kellogg’s PEP vitamin cereal for breakfast, naturally. 1946: Women are seen as indecisive, trying to squeeze into something too small, worried someone else is wearing the same dress and then taking it back to the shop. 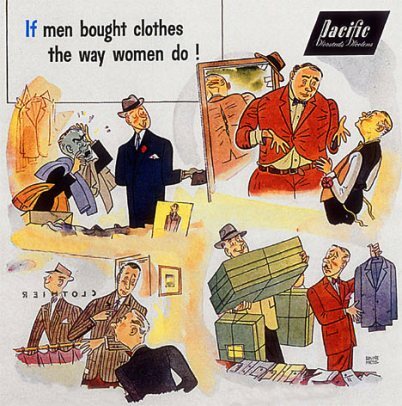 Men need only one look at the Pacific label to know it suits you, sir. 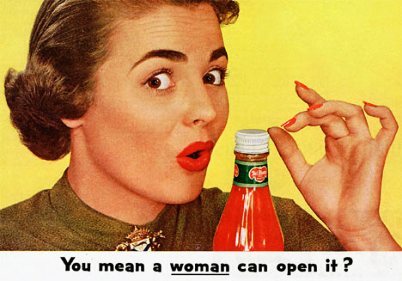 1953: You don’t need a knife, a bottle opener or even your husband to unscrew the cap of this bottle – just a little twist of the Alcoa HyTop Closure, made of pure aluminum, and that ketchup is ready to pour. 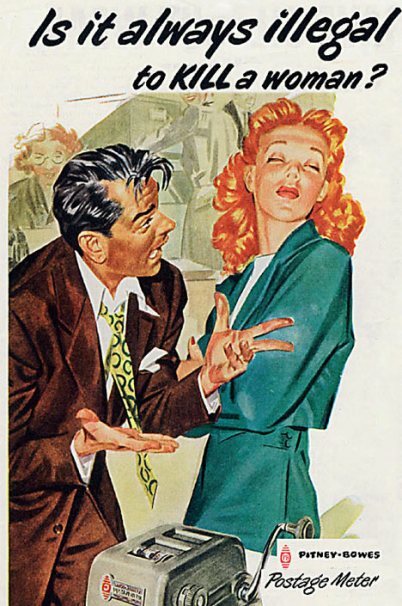 1953: Husband furious because you’ve missed the post? The Pitney-Bowes Postage Meter prints the stamp and seals the envelope all in one go. 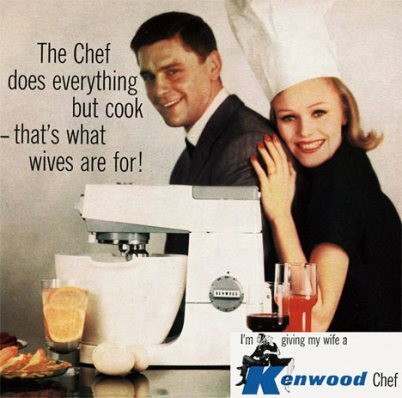 1961: When you can’t wait for your dinner, give her a Kenwood Chef food mixer and let her have some fun preparing your favorite dish. 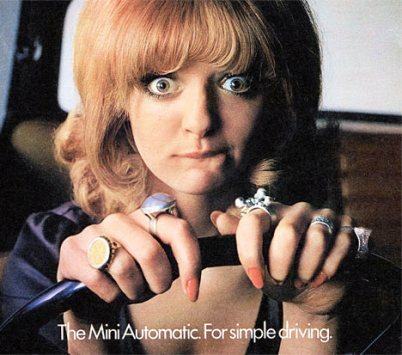 1970: Your wife won’t be able to stall the car or grind the gears – and there’s even one pedal fewer to confuse her with the Mini Automatic. Very Clever and thouroughly enjoyed it. The ads in the past century were not so well thought out I can imagine because advertising was not a discipline then in B-schools. Now with the introduction of metaphoric marketing and subliminal advertising campaigns a lot can be said without exposing women in the media.